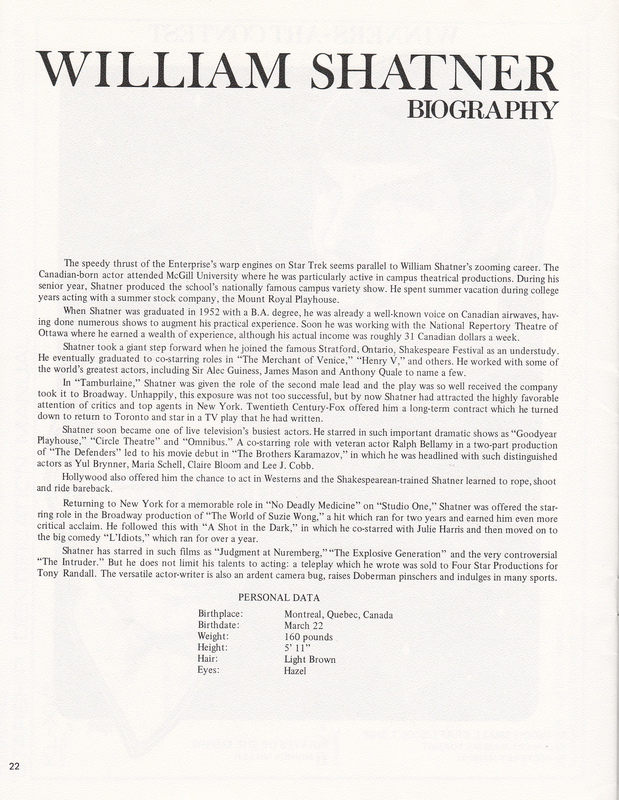 The Daily Scrapbook – 11/22/12 A Bio of Bill and Trek Trivia! A bit of a late entry today since I spent all morning making Thanksgiving Dinner; a 13.5lb turkey with stuffing, mashed potatoes, butternut squash, green beans, carrots, creamed onions, gravy and dinner rolls. (Whew!) It’s a veritable carbohydrate holiday. After all that, we were almost too full and tired to go to my sisters for dessert, but we managed! I brought an apple pie I made yesterday to that, and now I’m back, full, tired, but fully satisfied. I love Thanksgiving, what a blessing. I wish every nation on earth had one. 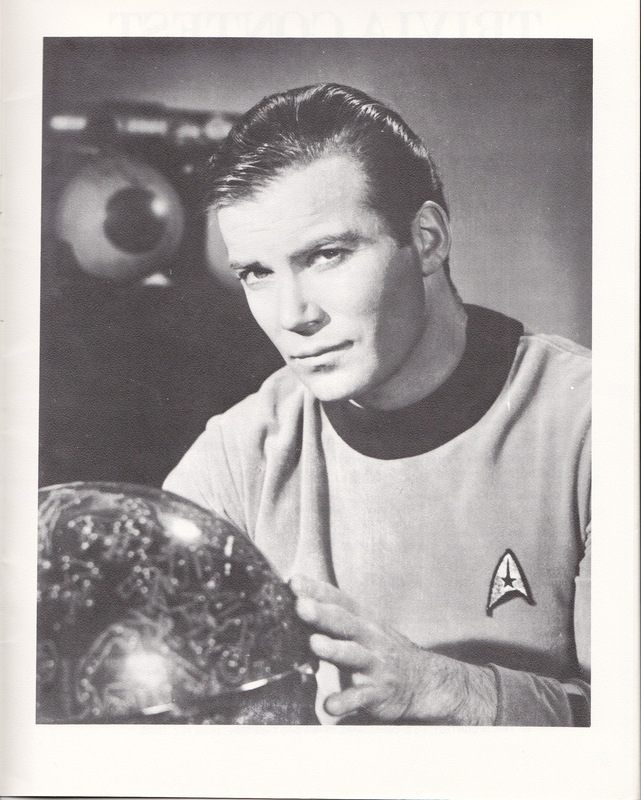 But back to business, here’s today’s flashback: from the convention program again, A biography of Bill Shatner (with a great Kirk promo pic), and lots of Trek Trivia to tease your brain. 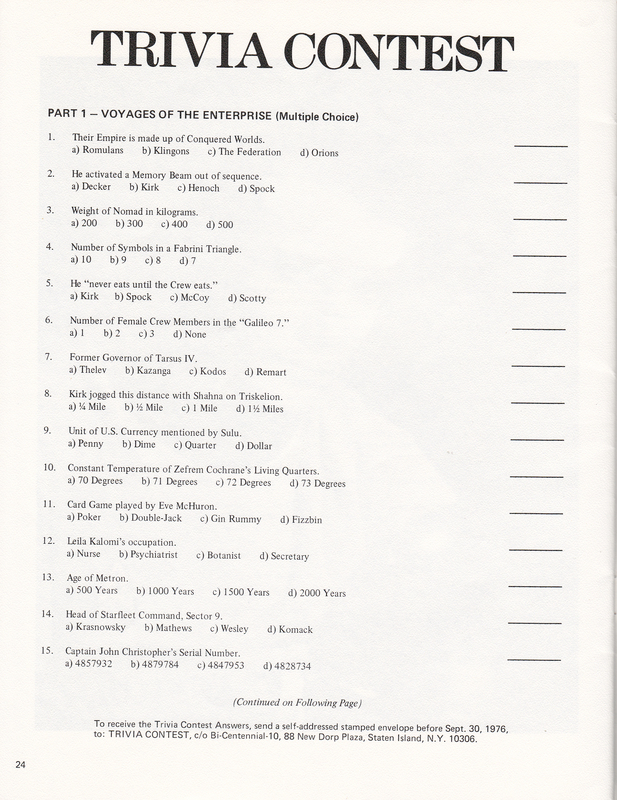 I knew every answer (back then) and my other Trek program is filled with all the answers! 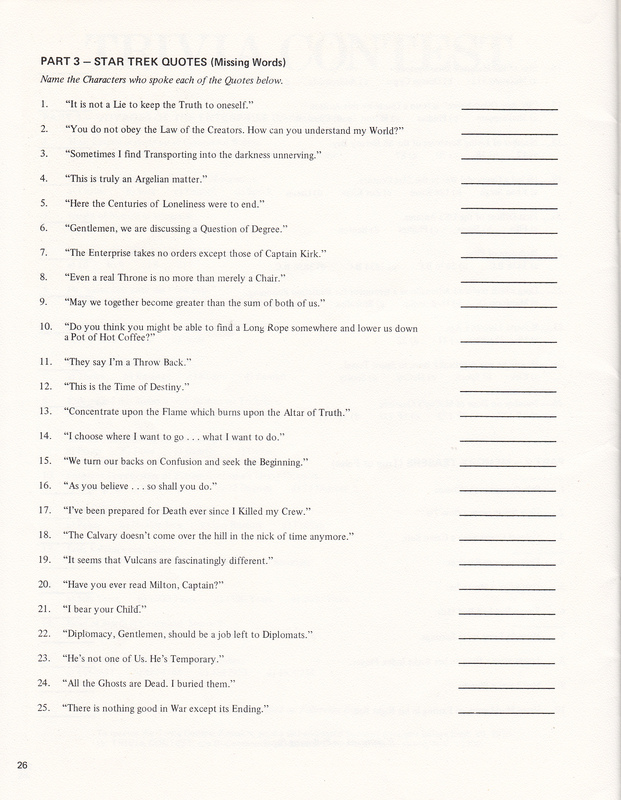 See how many you can answer, and I’ll post the answers here next Thursday (11/29). 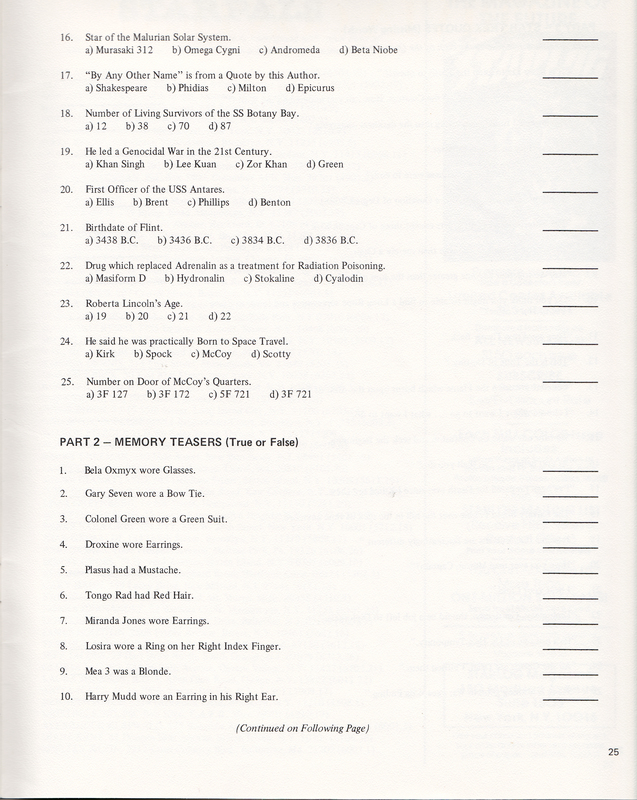 This entry was posted in My Star Trek Scrapbooks and tagged program, Star Trek Bi-Centennial 10, Trek rivia, WIlliam Shatner. Bookmark the permalink.